Do you know which are the top and best sites that share Google AdSense Revenue in 2013? If not, than today with the help of this post, i will tell you the best Google AdSense Revenue sites. If you are are a blogger than the one question is always revolving in your mind that is How you can earn online from these Google AdSense revenue sharing sites. 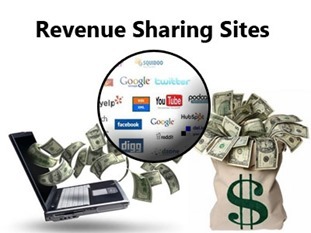 There are so many sites are available on web who pays high revenue. Below i have mentioned a list and if i miss something than do commenting and inform others. These sites pay you for the work that you are do for them. There are so many sites which usually ask for register before using them and also ask to inputting some dollars but the good sites never ask for the money until the work is not finished.